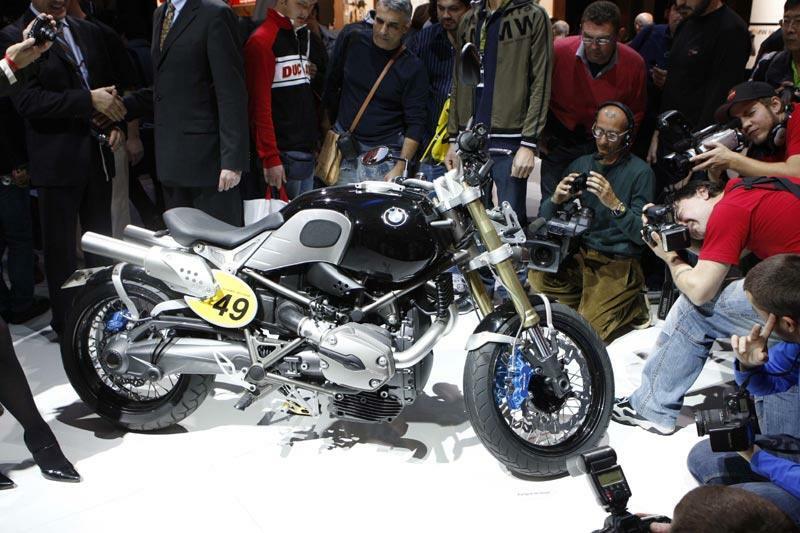 This great looking bike, which is supposed to be a BMW concept bike, has just been unveiled at the Milan show. But the motorcycle looks so finished it could go into production within 18 months. Dubbed the Lo Rider, the bike takes the 1200cc Boxer twin from the existing BMW line-up, adds some spoked wheels, traditional forks, wavy discs and a new set of lights and a one-off exhaust system for this very cool look. Officially BMW is staying tight-lipped about the prospect of production but an insider has revealed the chances of the bike being made are pretty good as long as customer feedback is good. Get the full details of this amazing concept in the November 5 edition of MCN.